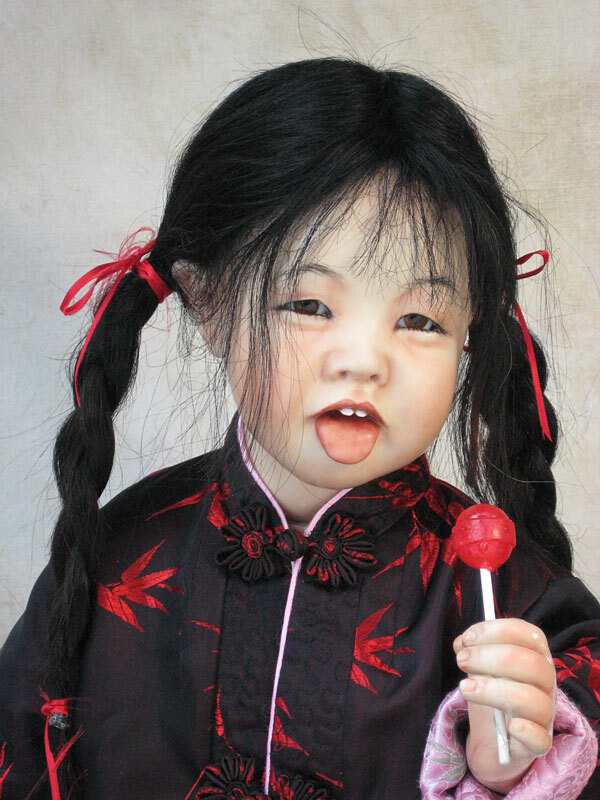 This Chinese child is full of fun, so excited with the sweet taste of her yummy lollypop. 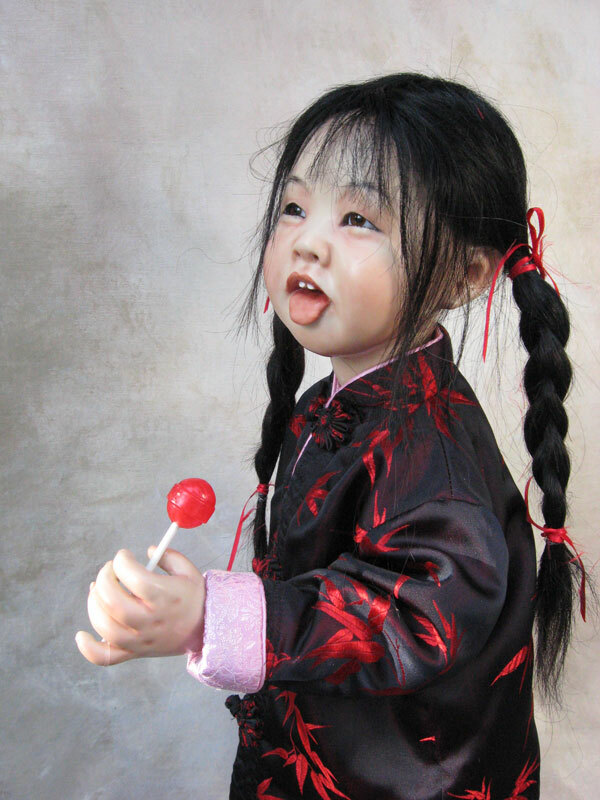 She wears a traditional black woven satin tunic which is lined with a bright pink Chinese print. She also wears pink silk pants. She will make you smile.